INTEGRITY & HONESTY. RELIABILITY & TRUSTWORTHY. TEAMWORK. PROFESSIONALISM. RESPECT DIVERSITY. These core values have been co-created by & through all Indochina Voyages team members and inspired by our common goals. 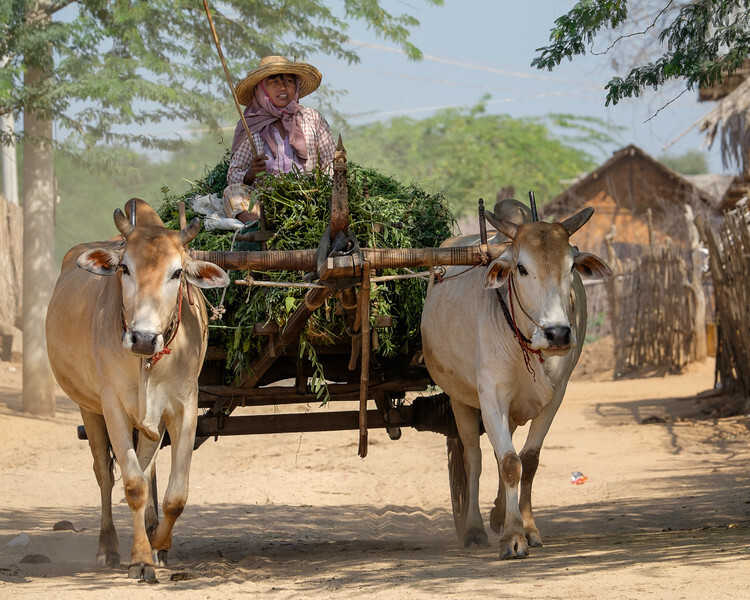 These values play as the backbone of Indochina Voyages spirit and practice and we will keep them live every day. 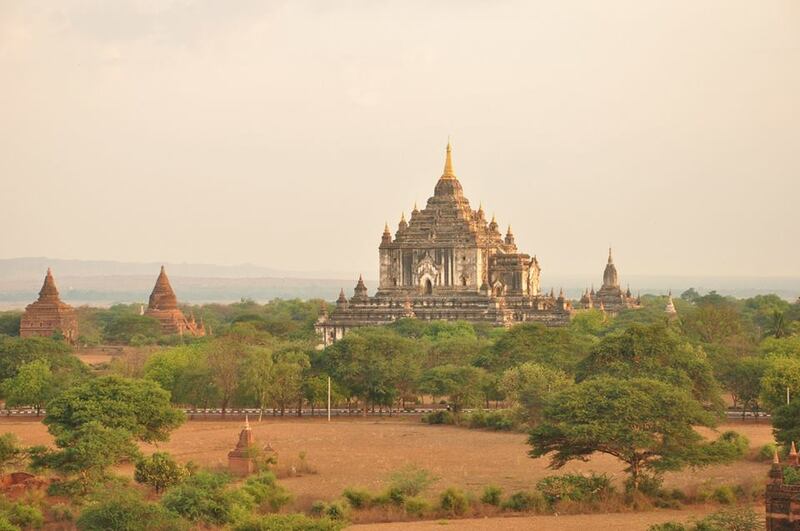 Bagan preeminent ancient religious cities in Southeast Asia. The ruins of Bagan city cover an area of 42 sq. km embracing over 2000 ancient pagodas and temples. 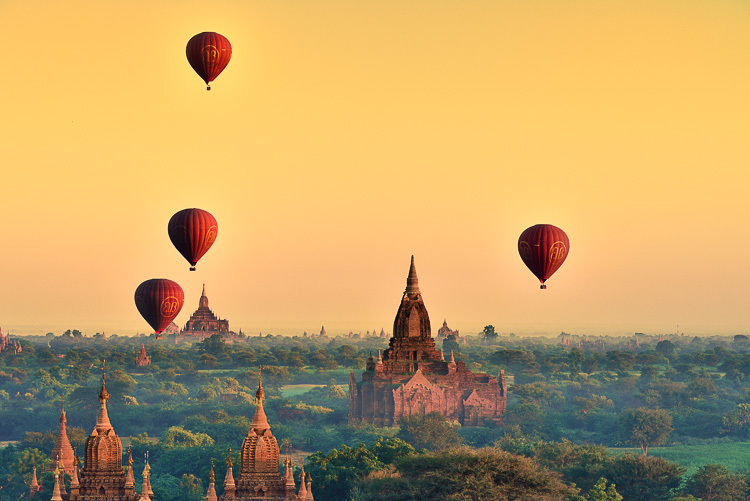 The enchanting city is located in the tropical zone of the country, on the eastern bank of the Irrawaddy River about 193 kilometers south east of Mandalay. 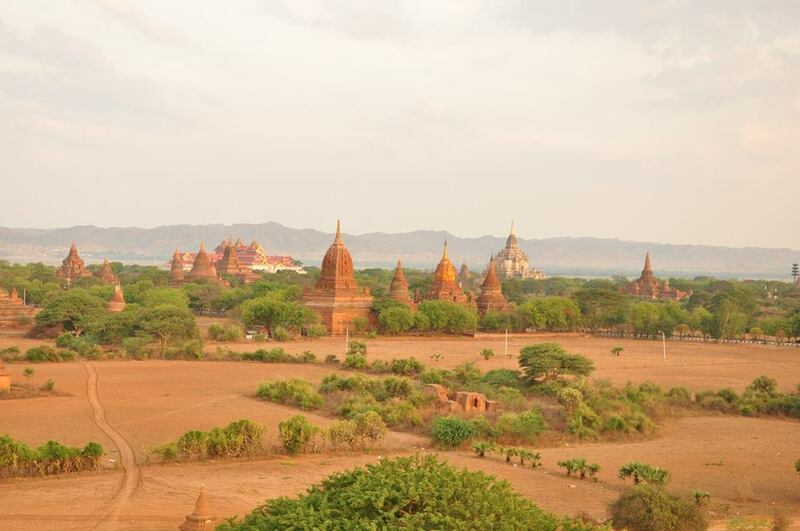 Bagan shows Myanmar architectural heritages from the 11th to mid 14th centuries. With beautiful gilded spires spread out across the horizon, the landscape looks like something out of a dream. Bagan itself feels more like a quiet village than a city partly because the temples out-number the tourists, which makes exploring Bagan a more pleasant experience than the neighboring Angkor region of Cambodia. 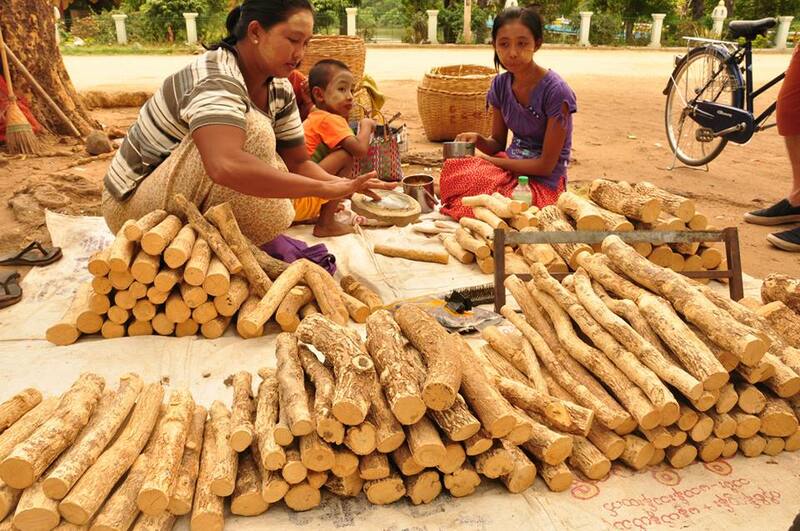 Traditionally, Burmese people grind the bark of the thanaka tree with a little water on a flat, circular stone and is truly a Burmese household tradition. Every day, after taking a bath, women, children and even some men paint thanaka on their faces. 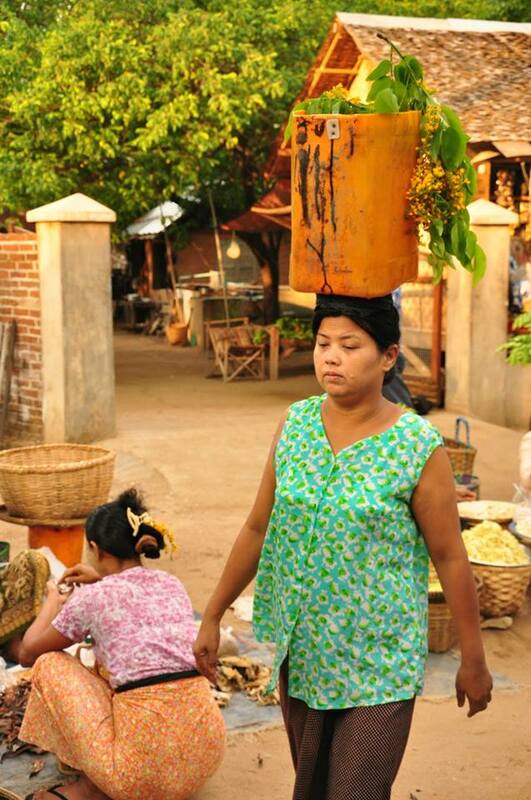 Burmese people believe that thanaka bark cools their skin, tightens the pores and controls oiliness. 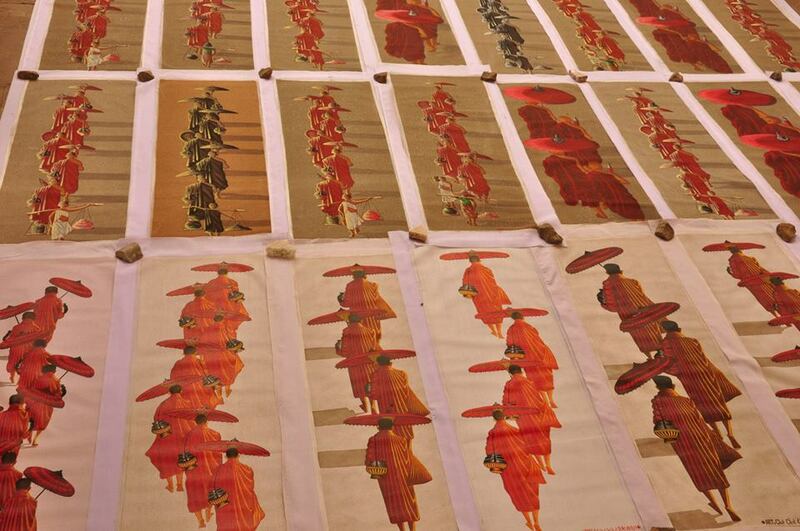 A great place to buy local art, Bagan features lacquer ware, bamboo art, and beautiful local made clothes. 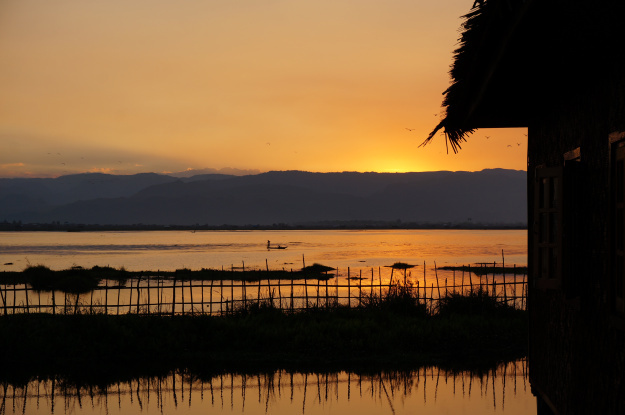 ******************* The second largest natural lake in Myanmar, Inle lake is located in the middle of the Nyaungshwe Valley between two parallel mountain ranges that run north and south of Shan State. 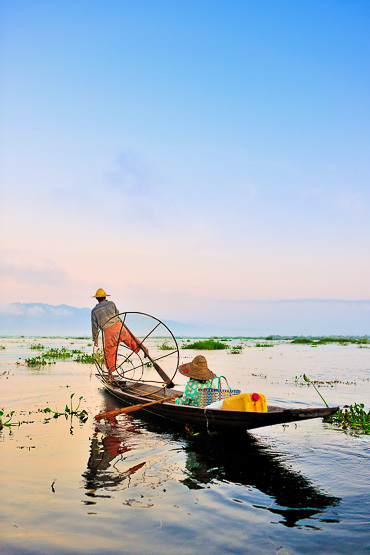 Inle lake is a shallow natural lake that stretches 14 miles long and 7 miles wide and rests 4,358 feet above sea level. 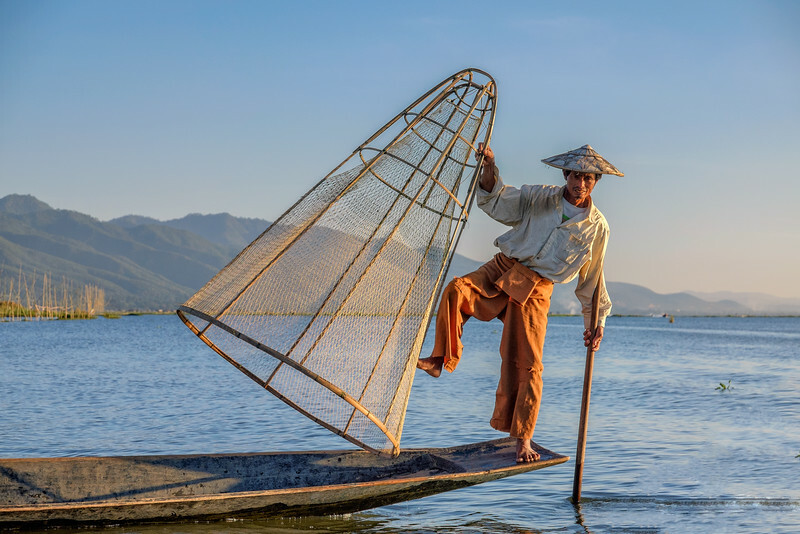 Inle lake is most unusual features is its extraordinary “leg-rowing fishermen” who have developed an original, eccentric method of rowing their small boats with one leg. Floating gardens are built from strips of water hyacinth and mud, dragged from the lakebed. 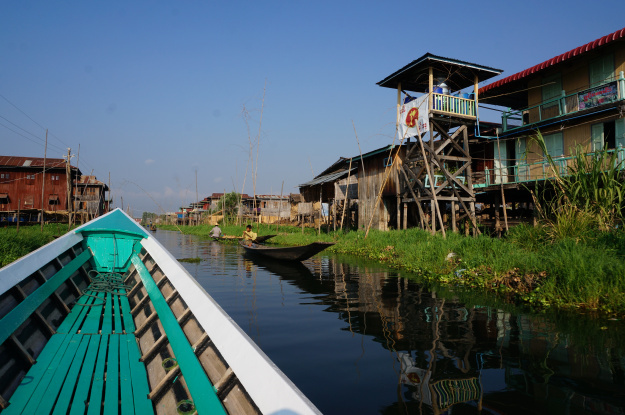 Villages, farms, and monasteries perch over the water on stilts. Visitors will have the opportunity to observe cottage industries of weaving, netting, and cheroot making. Where to go in Hanoi after Tet? 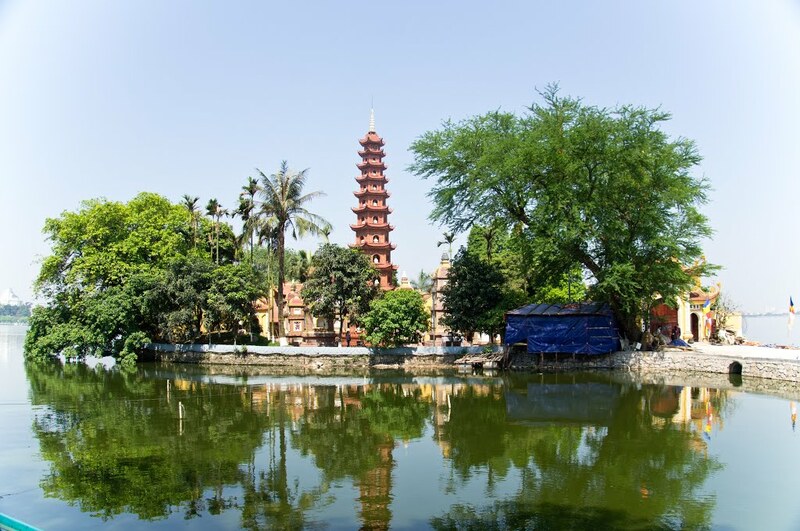 Our first visit will be Quan Su Pagoda, located at 73 Quan Su Street, Ward Tran Hung Dao Street, Hoan Kiem district. This pagoda is not only one of the most divined and pure pagoda, but also the headquarters of the Vietnam Buddhist Sangha. Because of this, many people from all over the country come here and pray for them and their family the best luck and favorable in New Year. 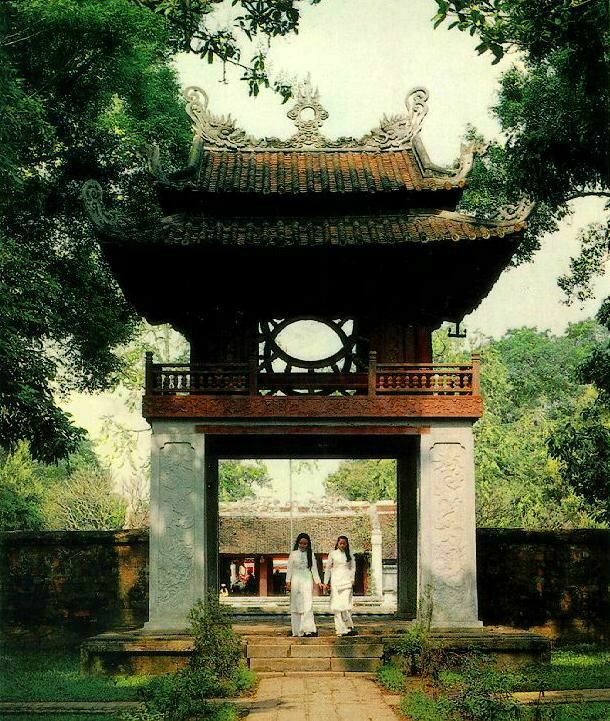 You will also find that this pagoda is very rare in Vietnam that its name and other sentences are written in Vietnamese, not in Chinese or the old Vietnamese language. Next, we will move to Tran Quoc Pagoda, the most beautiful pagoda in Hanoi. Right besides West Lake, this ancient pagoda is look like “a beautiful gem of West Lake”. In the history, this pagoda is one of the most famous pagoda in the citadel and many kings had chosen this place to rest and show their respected to ancestry. Nowadays, this place is one of the most popular sightseeing for foreigners. Ha Pagoda – a reliable address to pray for love. 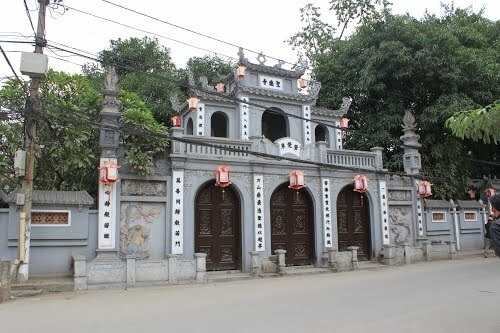 Khue Van Cac, a part of Temple of Literature – the symbols of Hanoi about knowledge. Leaving this pagoda, we come and visit the Temple of Literature. Known as the first university in Vietnam and a symbol of knowledge and wise, so that’s why, many students and parents believe that pray in here will bring them succeed in study and an intelligent mind for their children. Especially from Lunar New Year to 08th March, you can come here and visit the “Calligraphist Street” and ask for a letter, what can make your wish come true. 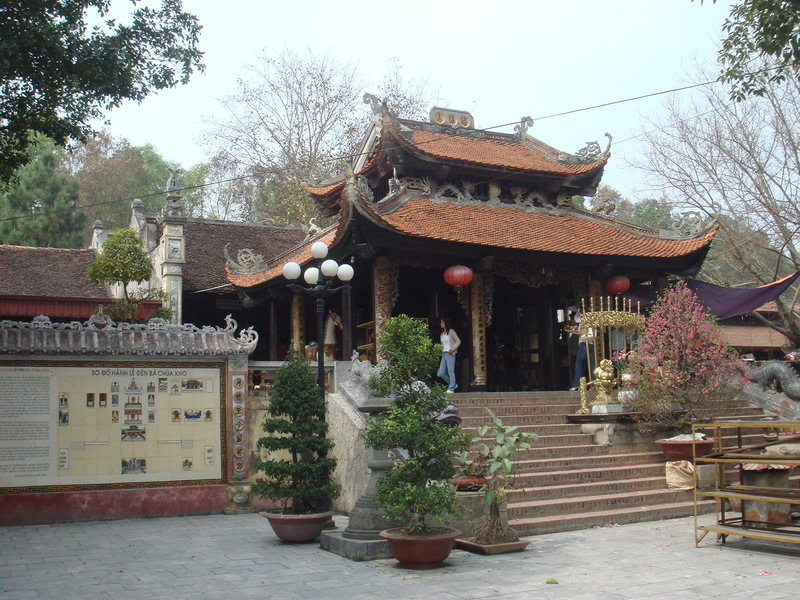 Ba Chua Kho Temple – where you pray for a year with successful in business. Our final destination is Ba Chua Kho Temple (Warehouse Princess Temple). 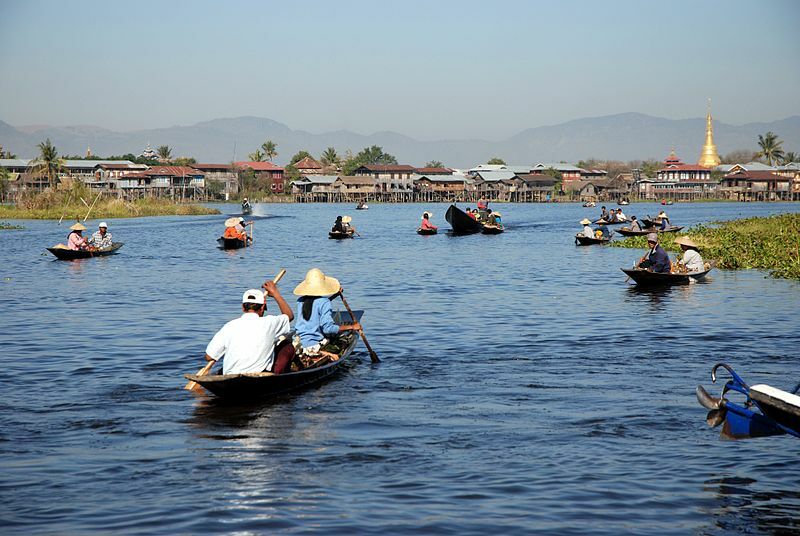 Located outside Hanoi in Bac Ninh Province but this place is must-not-missed in our list here. At the beginning of a new year, many businessmen, traders… will gather here and try their best to represent before her and ask for lending some money to start their business or hope to get some “lucky” from her. But, after lending her money, at the end of the year, you have to come back and pay the debt, even you win or lose. This becomes a common routine to many people, especially in businessmen at the beginning and the end of each year. End of this trip, maybe some people will have a new year with full of health, luck and many other things. Above all, this things are just for your mind and in the real life, remember that no pain, no gain. [Feb 2017] We chose the right company! [Oct 2015] Thank you Indocina Voyages! [Nov 2013] Easy travel with many changes of plan! With a professional team of travel consultants and operators, Indochina Voyages has been becoming a leading online tour operator and purveyor of refined Indochina Tours. The world famous Trip Advisor has been granting us Certificate of Excellence year after years for all what we have done to our satisfied customers. 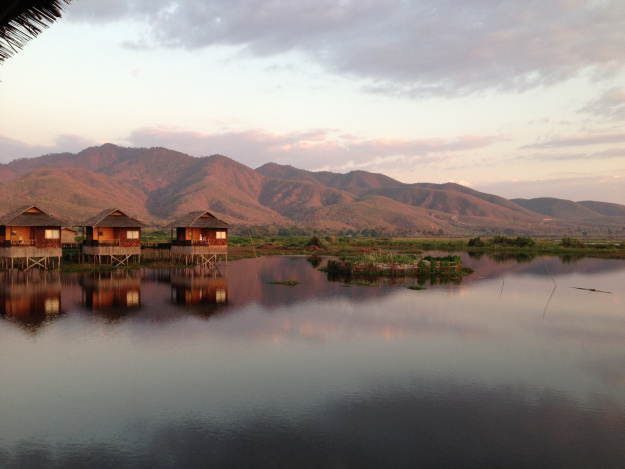 We focus at tailor-made Vietnam tours, Cambodia tours, Myanmar tours and Laos tours for those who prefer a well-picked family holidays or private travel packages. Our team will follow up with every step of the way, from planning stage till the time you get home, just to make sure you have got a wonderful time and experience on your Indochina Travel.